In short: Fantastic Beasts is tons of fun in its own way, but don't go in expecting Harry Potter. 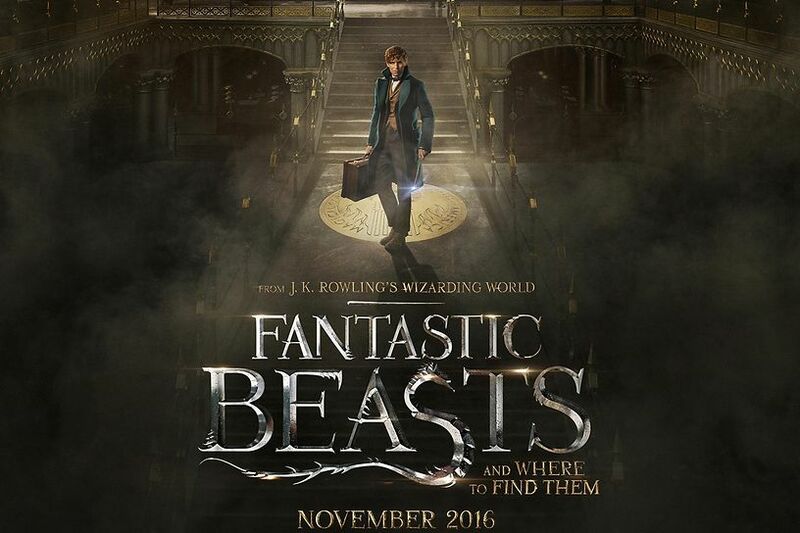 In the movie (and I promise to be spoiler-free), it's 1926, and Newt Scamander has arrived in the bustling city of New York with a mysterious suitcase that is apparently full of magical creatures, some of which manage to escape. In addition, there is something else wreaking havoc upon New York that has stymied both the wizarding world and the No-Majs (humans with no magic - the American word for "muggle") alike. There are whispers of witchcraft, and a movement of anti-witch fanaticals is building in the city as well. 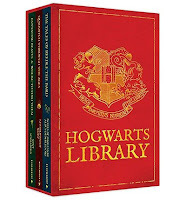 Newt, along with the help of an American ex-auror and her sister as well as a No-Maj who ends up unwittingly caught up in all this, must find his missing creatures before they cause any more damage and figure out the source of the dark magic that is destroying the city, ALL while trying to keep from getting in trouble with the MACUSA (the Magical Congress of the USA). So first of all, this is not a Harry Potter movie. Yes, it's the same universe, but what I really mean is that it's a different style of film. HP movies are centered around kids/teens, and as such, it has a innocent quality to it, even in the later movies when things get serious. They're primarily about young people and their "young people world." 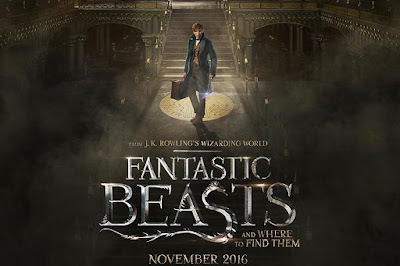 Fantastic Beasts (which I'll now abbreviate as FB) is a movie about grownups in a grownup world, and you can't get around it. It takes place in New York in the 1920s, and has all the slick style and glitz that you would expect, from the costumes and hair, to the mannerisms, to cinematography. The main characters aren't adolescents trying to figure out their way in the world - they're cosmopolitan adults in the greatest city in the world (to quote Hamilton). The childlike whimsy and cuteness is replaced by speakeasies and jazz music. Speaking of "real": thirdly, it takes place in the heart of muggle (sorry, No-Maj) city life. HP spends a relatively little amount of time out in the "real world" with muggles - for the most part, we're at Hogwarts, which is isolated from everything muggle, or we're in wizarding towns (like Hogsmeade) or other locations that are secluded (like in Deathly Hallows when the trio are on the run). As such, in FB, we're dealing with the consequences and damage that occur when magic is not practiced in isolation. So... it's not going to feel like the HP-verse that you know. And I liked the magical creatures! They were interesting and fascinating, and I could appreciate why Newt Scamander cared about them so much. They were at times cute and at times a little scary, but definitely epic. There were a LOT of actors that I recognized that I didn't know were in the movie (although, it's not like I spent any time reading up on the cast), and in particular, I want to highlight Ezra Miller's performance. I've only seen him in one other thing (The Perks of Being a Wallflower), and he was amazing in that too. Is it worth seeing if you're not already into the HP-verse? I don't recall much time being spent on world-building and explanation, as if they are expecting only HP fans to see the movie (not an unreasonable expectation). You don't get a whole lot of explanation about how magic in general works, or about what the spells are or anything (like, I guess you could figure out by inference that alohomora opens locked doors? ), and I would've liked to know more about the MACUSA and how the American magic laws work (though maybe I could just hit up Pottermore for that explanation). So if this is your first foray into the HP-verse, it might be a bumpy ride but enjoyable nonetheless. Edited to add: Entertainment Weekly just posted this great list of 5 things to know before watching the movie. Is it worth seeing if you're already a diehard HP fan? Yes. But like I said, it's going to feel a little weird to you, but keep an open mind and you'll be fine :) Fantastic Beasts was super fun, and I walked out of the theater more excited than I'd walked in.